Multi Media LLC | How do I create an account? Home › Getting Started › How do I create an account? 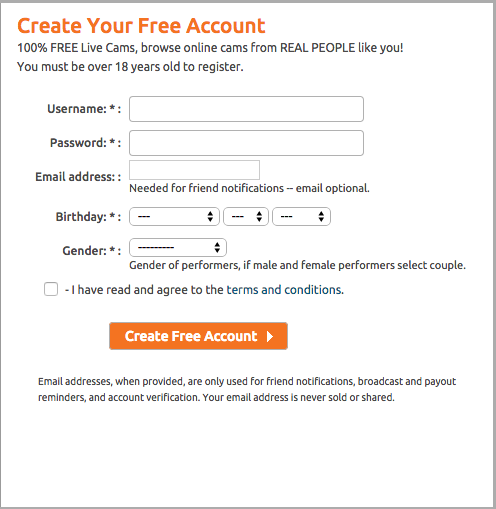 Go to https://chaturbate.com/accounts/register/ to create a free account that allows you to chat with other members and broadcast your cam.